I have heard many of you claim that apologetics as a discipline does not point to the monotheistic God. This assertion may be an attempt on your part to water down the strength of the apologetic arguments by creating what must seem like an unanswerable dilemma, Polytheism or Monotheism? To you this may feel like an argument against Christianity, because Christianity is monotheistic as you know. Even though there are different ways to answer this dilemma, I have chosen one that should help clarify why this dilemma is not actually a dilemma. 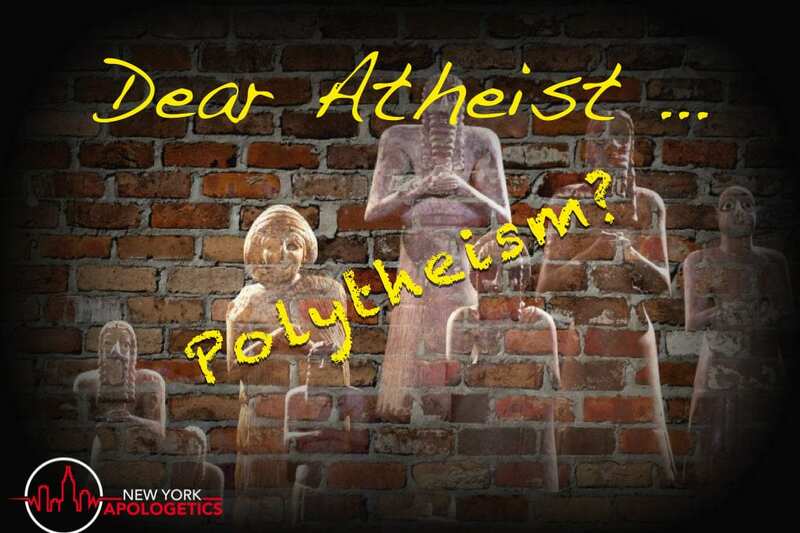 While apologetic arguments may attempt to show evidence for the existence of God, these arguments do nothing to show whether this God is a team or a group of gods (polytheistic) or one God (monotheistic). Because apologetics cannot show whether God is a god or gods, these arguments do nothing to further Christianity. God has great making properties. Is it greater to have all knowledge or partial knowledge? All Knowledge. Is it greater to have all power or some power? All Power. Is it greater to a contingent being or a necessary being? God is a Necessary being. Is it greater to be omnipresent or be in one place at a time? Omnipresent, etc. In light of understanding God as the greatest conceivable being, how could multiple gods exist? If there were many gods, none could actually be the greatest conceivable being, rendering God by definition impossible. The term God by definition can only truly be used in a monotheistic system. When you say that apologetics does nothing to support the idea of God as monotheistic, you violate the definition, the very concept of God. That is the real dilemma. Know your terms! your definition may point to a monotheistic system, but other definitions do not have the same restrictions. Most if not all apologetic arguments still don’t narrow down which god… or gods are valid. On a different note, are you saying Zeus is not the Greek god of thunder and lightning, Apollo is not the Roman God of the Sun, Ganesha is not the Hindu god son of Shiva? Hello Jason, you imply that there are different definitions for the word god. Does that implication mean that the definition used by Christianity and other monotheistic religions is invalid? Would you accept the number 2 use of the word but not the number 1 use? Because a word can have different meanings does that mean that one of those meanings is invalid? Could you please explain what you are trying to convey?